A+B+A three layer co-extrusion film blowing machine has unique characteristics whether it is HDPE or LDPE or LLDPE material.Through multilayer co-extrusion improve physical strength of film, and use a host supply inside and outside layer material ,which can reduce the configuration of a host, at the same time to reduce the cost and energy consumption. The extruder use two of the same or different plastify squeezing to co-extrusion head to produce co-extrusion plastic film, so that improve the physical properties of film, increase its strength , the film has good barrier property and gas tightness. 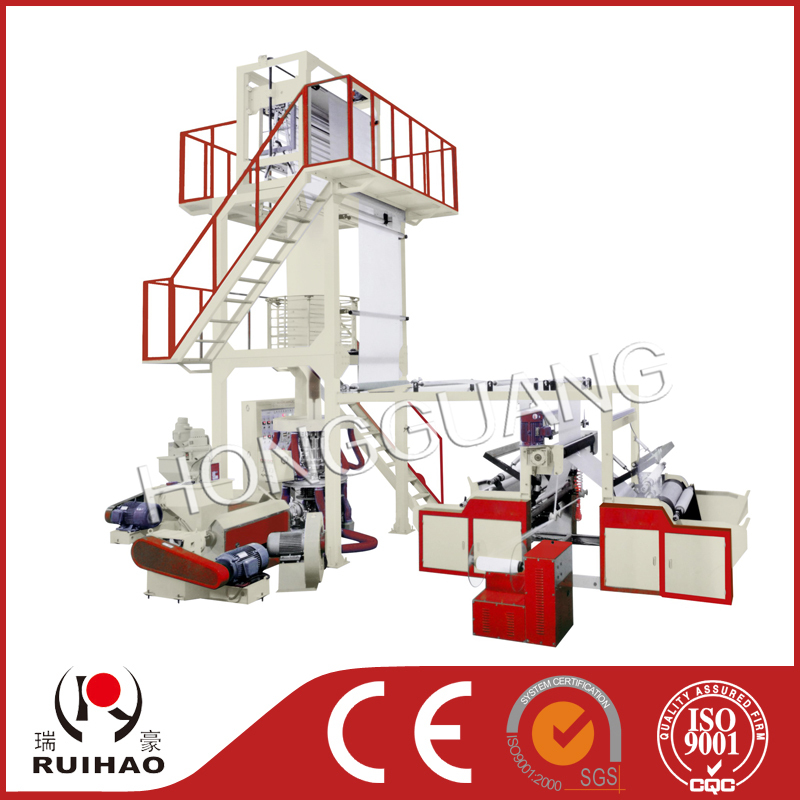 The machine adopts advanced continuous rotary head, the product is smooth, good uniformity, to ensure that the packaging machine, printing machine and so on the follow-up process equipment on the film quality requirements, suitable for the production of compound pearl film, composite film for packing liquid, insulating film, multifunctional agricultural films. Its use is gradually expanding, is the direction of the development of plastic products.